Written and shared by Bob Heisler. Click HERE to see the photos from Bob’s Facebook page. I met the great voice actor Rob Paulsen at MegaCon 2015 in Orlando, Florida on April 12th. Rob was kind enough to make a video in support of KoreanDogs.org. Thanks very much, Rob, for joining the campaign to stop the torture and consumption of dogs and cats in the meat trade. You are the best! Rob sells autographed photos at a very reasonable price to benefit Operation Smile and The Wounded Warrior Project. 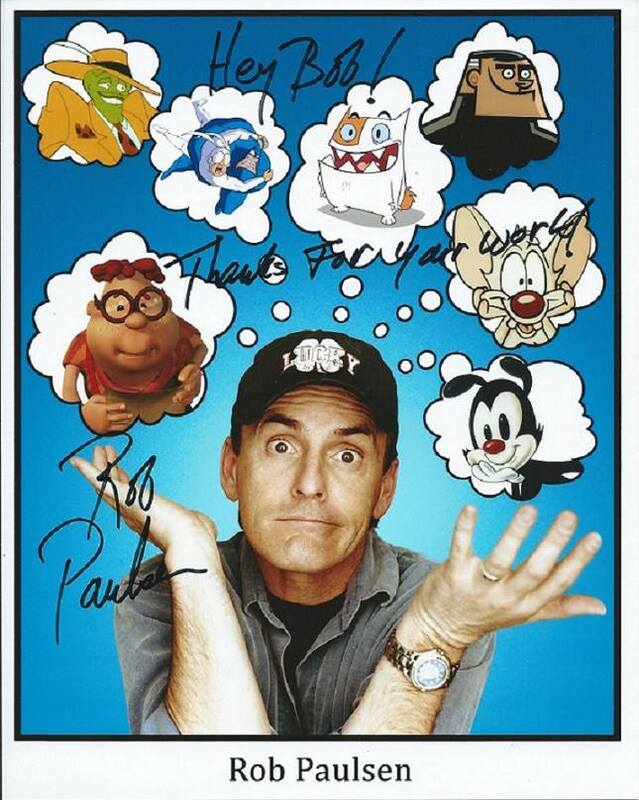 Click HERE for Rob Paulsen’s Facebook page! Click HERE for Rob Paulsen’s Bio! Please take actions against the South Korean Dog Meat Cruelty!